The competition in ‘better for you’ food and drink continues to grow. Both challenger and icon brands must differentiate and innovate to stand out in store and online. At Food Matters Live this November, F&f shared the stage with Graze snacks to present the story of how we helped make this phenomenally successful retail extension of the UK’s number one online snack brand ShelfHappy™. We believe that healthy, well-functioning brands make for happy consumers, retailers and returns. 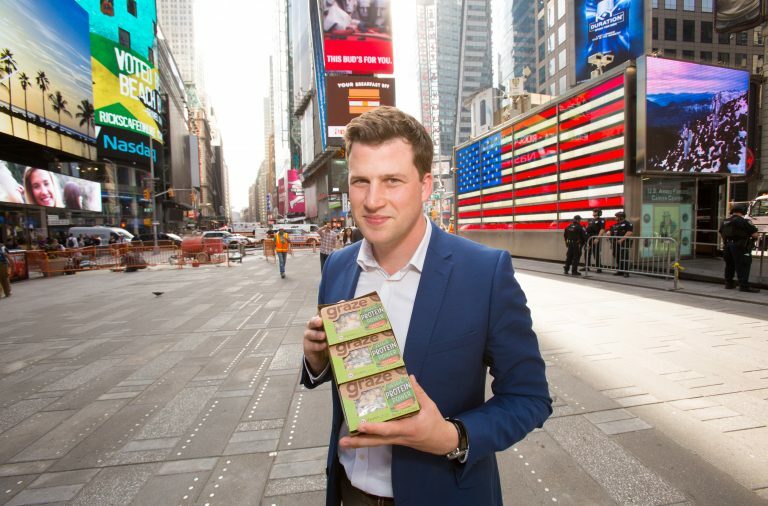 Returns are certainly good – the brand now boasts £40m sales value and position as the UK’s number 1 snack brand, with more than 12 million snack packs in 1600 stores in first 12 months. 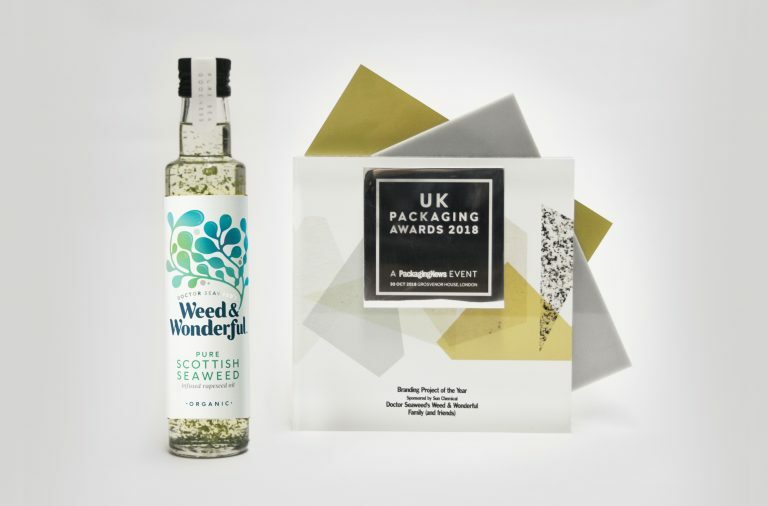 With 18 SKUs in the range, plus new pouch, and box formats and selling in over 9,000 UK stores, including, WHSmith, Sainsbury’s, Boots, Tesco and Waitrose and now also with over 7,500 US store listings. 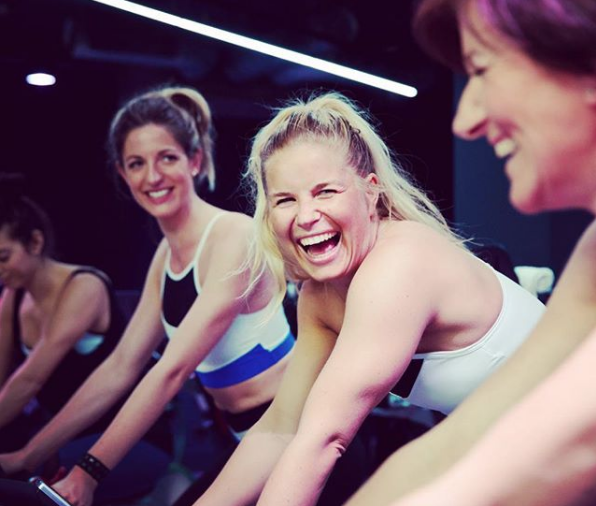 The approach we took, as with many brands needing to cut through in retail, was to start with a brand health check – ensuring that the frame and the flesh were in good order. Identify what makes the brand special and different. Ensure ease of navigation through messaging and claims. 3. Design for real impact. 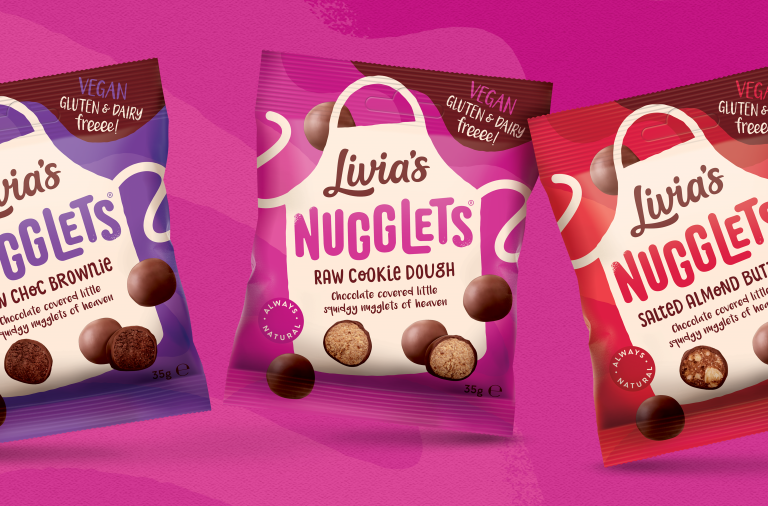 Make the packaging work hard on shelf with instant appeal and recall. Every brand needs a clear proposition – one that is easy to get and sticks like glue for consumers, retailers and the brand team alike. The proposition frames the brand, identifying what make the brand special and different in the market. 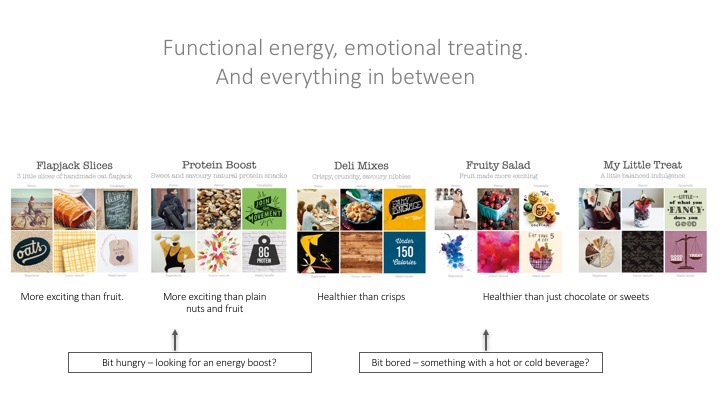 Graze’s proposition for its ‘clicks’ business is pretty clear: fully personalised snacking to your door, with almost endless combinations of exciting ingredients that are inherently good. 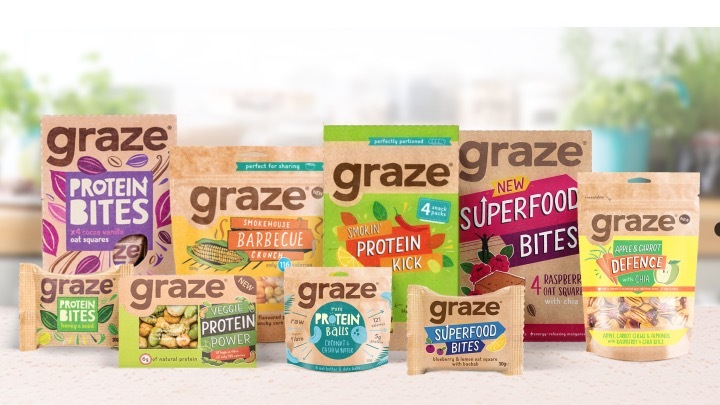 If you are a signed-up fan, this is fairly obvious, but if you are a casual shopper in your local supermarket looking for a healthier alternative to a Snickers bar or bag of salted peanuts, you may not be aware of Graze at all. 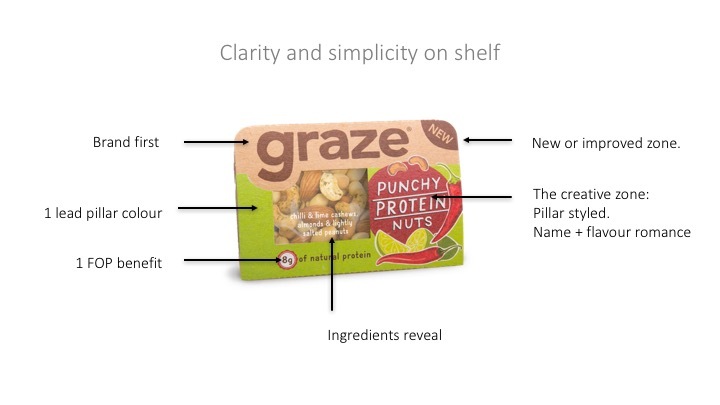 We wanted to ensure that for the ‘bricks’ business, each element of the branding reiterated excitement and variety, so we created a design and messaging framework that shouted the Graze brand first, but then very quickly highlighted the breadth of exciting products and variety flavours and ingredients on offer. On average consumers have less than a 1.5 second dwell time at fixture. Ironically, this can get reduced dramatically the more SKU’s you have as people scan for brands, not products according to various studies. 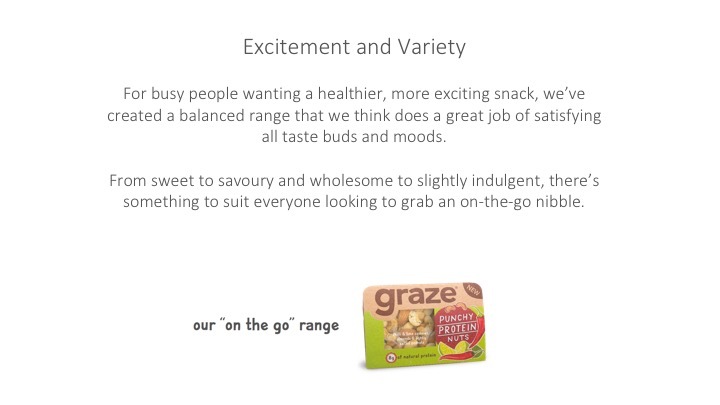 With up to 18 Graze products on shelf, it was essential to ensure that consumers could then find a product they wanted. To this end we constructed a ranging system built around pillars, focused on core ingredients and customer needs – hunger through to treat, occasion and mood. Each pillar has its own distinct personality, defined in words and pictures. One of the other key challenges was to take the evocative visual assets and personality that Graze owns: the naturally wholesome brown Kraft card feel, the quirky, busy and ‘chatty’ illustration style, and make bolder and more confident, with a slightly more mature presence in retail. So, after creating complexity to display variety, we needed to create simplicity to help keep the brand ‘blocked’ and eye catching on shelf. This was achieved through careful zoning, using the principles of eye-tracking to ensure the consumer can scan the pack effectively. 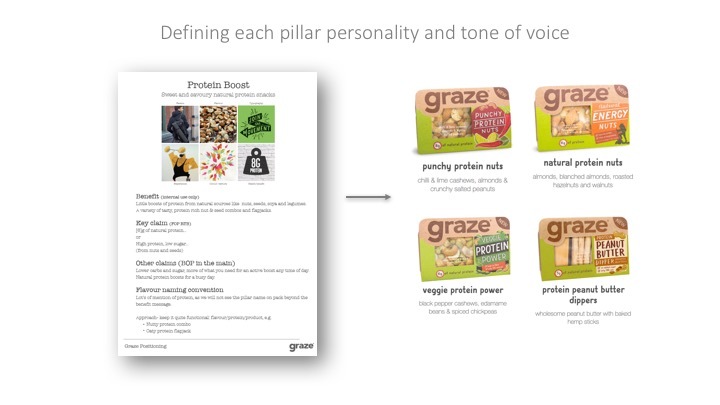 The overall system thinking has now been rolled out by Graze’s multitalented in house team headed by Ellie Edwards. 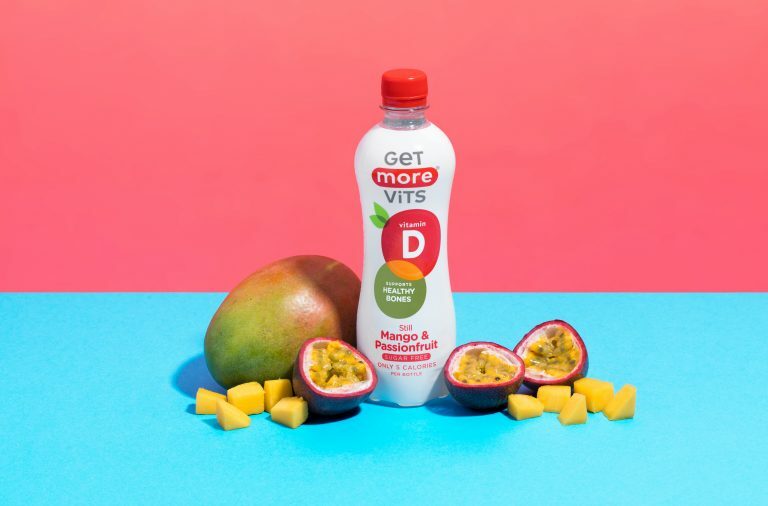 The range has now extended to over 40 products and 7 new formats, created thorough their ‘Test and Learn’ approach, whereby a constant reappraisal of product, packaging and benefit messaging helps optimise the on-shelf offer. 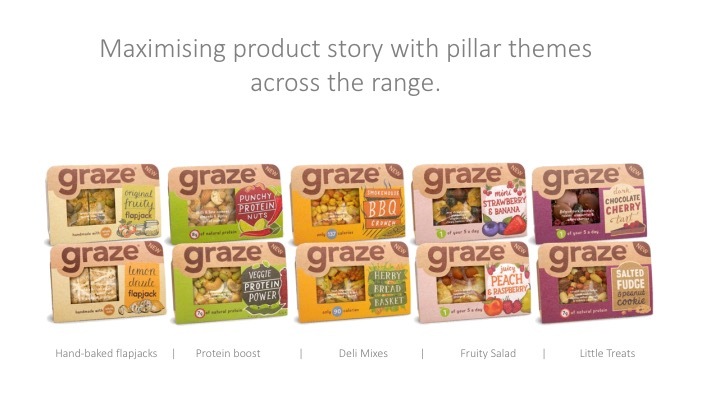 The full Graze case study will be available to download from the Food Matters Live website after the event.